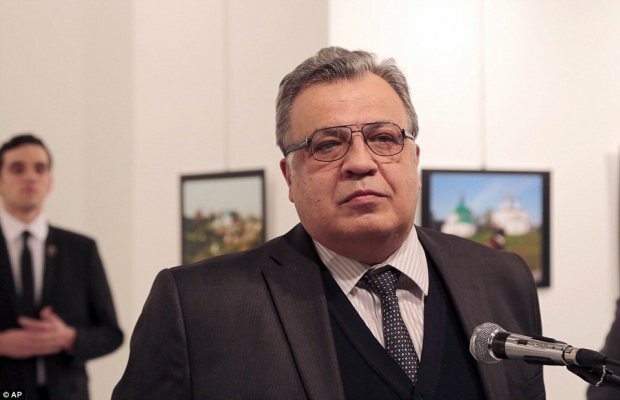 Russia's ambassador to Turkey, Andrey Karlov, has died of his wounds after being shot in Ankara, the Turkish capital. 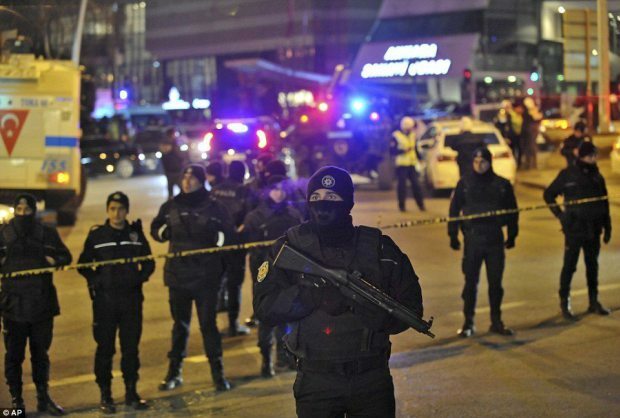 Turkish security sources say the gunman, who shouted phrases including "Allahu akbar (God is great). Do not forget Aleppo! 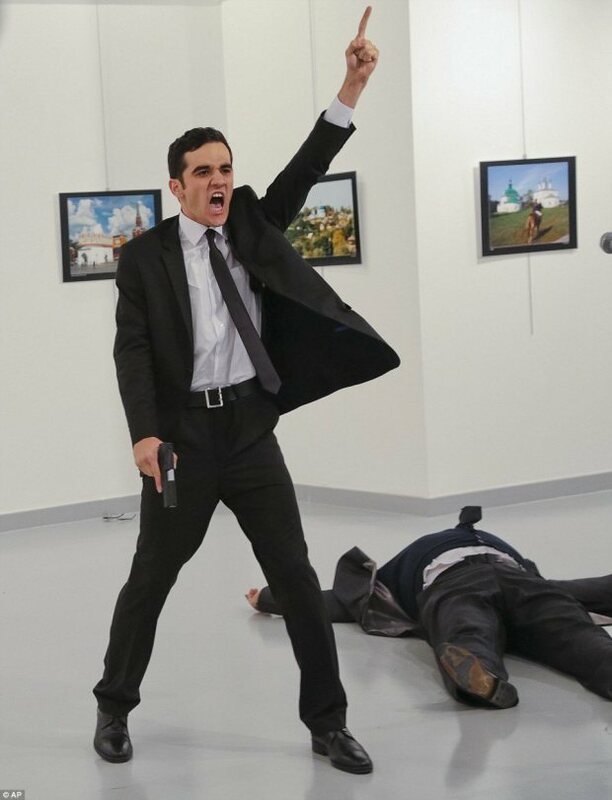 Do not forget Syria! Do not forget Aleppo! 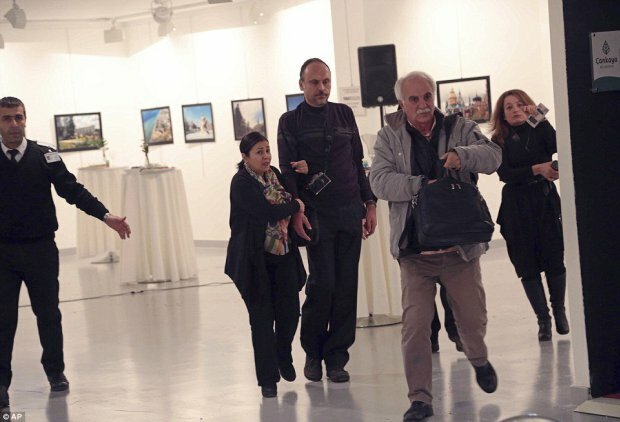 Do not forget Syria!" 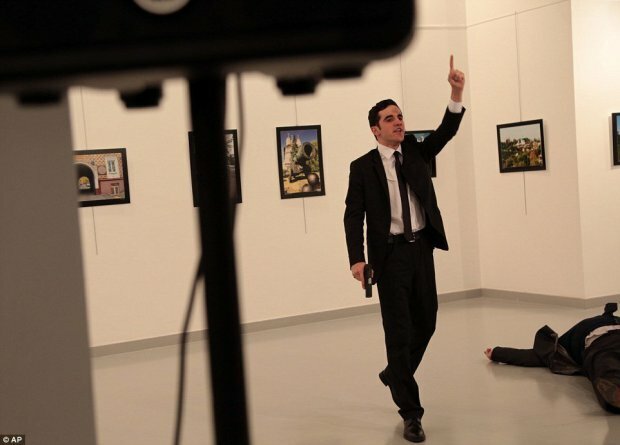 was off-duty special forces police officer Mevlüt Mert Altıntaş. 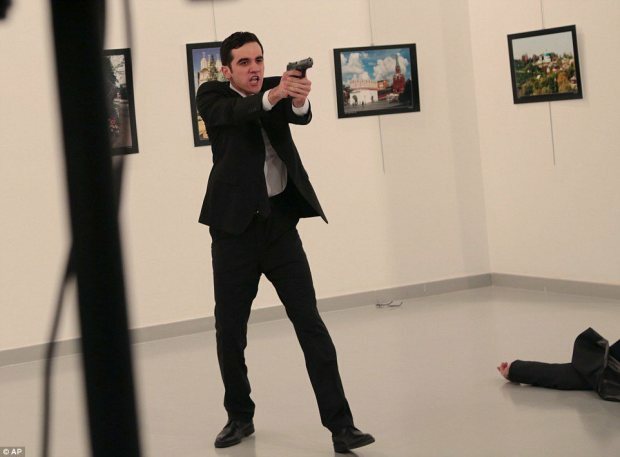 He was shot and killed at the scene by Turkish authorities who rushed to the scene. 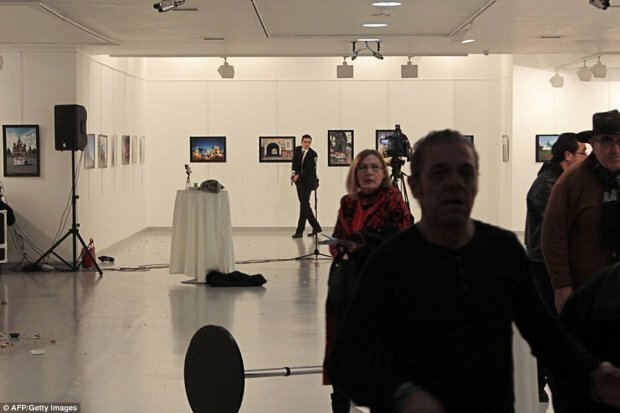 Karlov did not have personal security assigned to him, and it has been reported that the gunman posed as a bodyguard in order to access the venue and get close to Karlov. 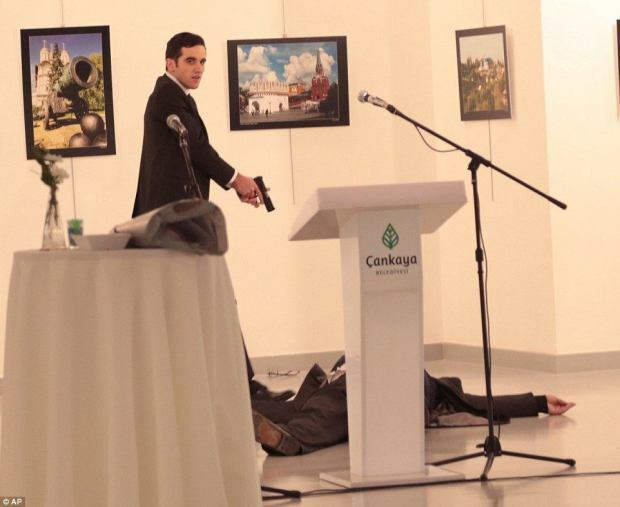 The gunman was dressed in a suit and tie, complete with a Russian flag pin. 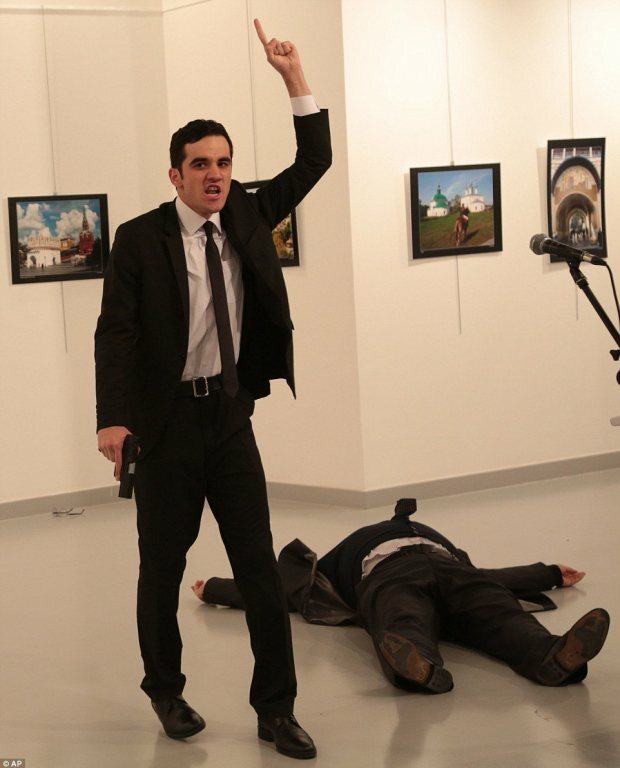 Here are the photos from the scene taken by the brave AP photographer Burhan Ozbilici. Warning: Some viewers may find the below footage distressing.